Saskatchewan Premier Brad Wall says not many people would be outraged if Prime Minister Stephen Harper decided to stop appointing senators. 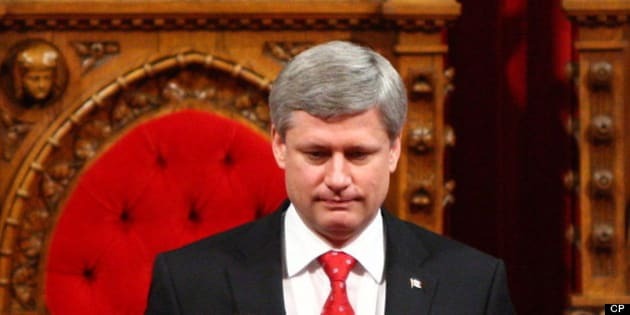 CBC News reported this week that some Conservative members of the upper chamber are putting pressure on Harper to fill Senate vacancies. There are currently 11 empty seats, and there will be 17 by the end of the year. That doesn&apos;t included suspended Senators Patrick Brazeau, Mike Duffy and Pamela Wallin. "Atrophy is not a bad end game as well for the Senate as far as we&apos;re concerned," Wall told CBC Radio&apos;s The House. "We don&apos;t think the Prime Minister should be in any particular hurry to appoint any senators," he said. Wall has advocated for Senate abolition in the past. Saskatchewan&apos;s official position is that the red chamber should be eliminated. "I don&apos;t think we&apos;d have a problem if he (Stephen Harper) came out emphatically and said: &apos;Look, we&apos;re… we just think this institution is not relevant, it&apos;s unelected, and for the reasons I&apos;ve just mentioned, we&apos;re not going to be appointing any more senators for the life of this government,&apos;" Wall told guest host Terry Milewski. "It&apos;s a long goodbye but it is a goodbye," he said. Does the PM have to appoint senators? The prime minister seems to be in no rush to fill the current vacancies. His office says that as long as the Senate continues to be able to its work, there is no plan to fill any of those seats. Experts are divided about whether the prime minister has a constitutional obligation to fill the seats. Section 24 of the Constitution says the Governor General, "shall, from time to time, in the Queen&apos;s name, by instrument under the great seal of Canada, summon qualified persons to the Senate." Former Conservative senator Hugh Segal told CBC News this week that he didn&apos;t think there was any obligation to name senators to the 105-member chamber, as long as its membership didn&apos;t dip below the quorum of 15. There&apos;s no ambiguity for the leader of the Official Opposition Tom Mulcair. "There&apos;s no constitutional requirement to fill them," Mulcair told CBC News Network&apos;s Power & Politics this week. "We could let the thing die on the vine — just wither away by attrition, name no one else to the Senate." Despite all this, the pressure to appoint senators will not go away, especially when it comes to some provinces. With Senator Catherine Callbeck about to retire and Mike Duffy currently suspended from the Senate, Prince Edward Island will soon find itself with half the representation it&apos;s entitled to. Premier Robert Ghiz has expressed concerns about that upcoming under-representation. Manitoba will also be down to half of its Senate seats in the coming weeks, with three out of six seats vacant.